In a year or so our loft will be converted to a bedroom for our three, growing little boys. I want to make their old-current-bedroom a playroom where they can be hectic, and their new sleeping space more of a den where they can watch the stars from the dormer window. 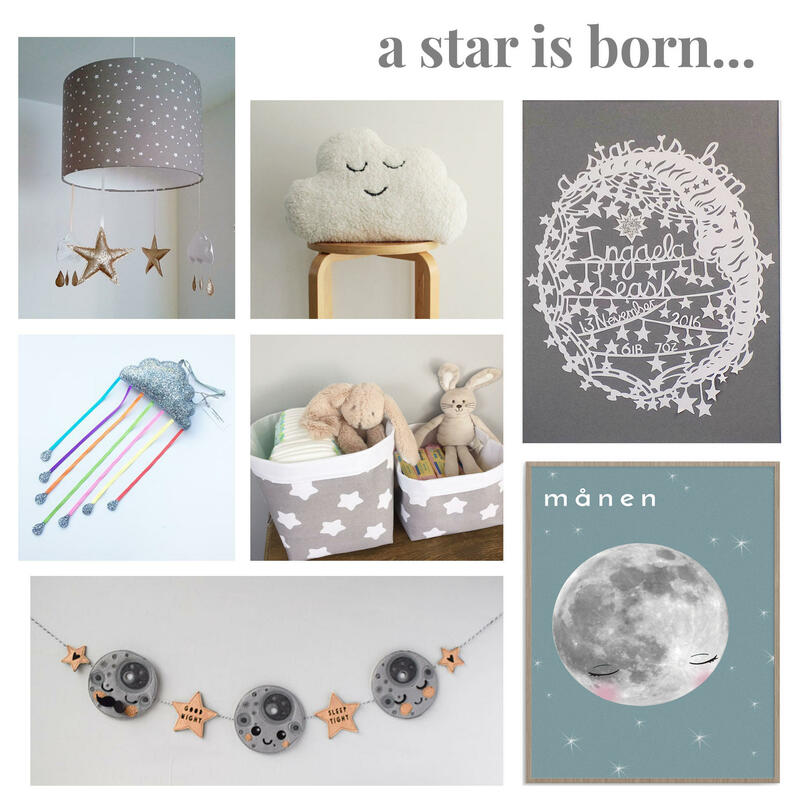 They might be a little old for this mood board of delights by then but I am pretty sure I can update them all so they don't look so baby-ish, however these accessories are all perfect for any moon and star themed nursery. Which nursery trends do you love?